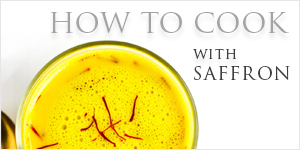 Saffron is originated in ancient Persia (modern day Iran). 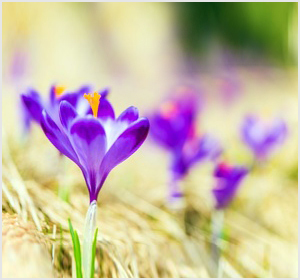 Ancient Persians (Iranians) cultivated saffron in Derbena, Isfahan, and Khorasan by the 10th century BC. At such sites, saffron threads were woven into textiles, ritually offered to divinities, and used in dyes, perfumes, medicines, and body washes. 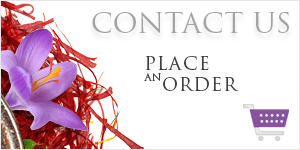 Saffron threads would thus be scattered across beds and mixed into hot teas as a curative for bouts of melancholy. 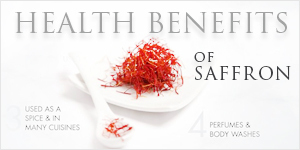 Non-Persians also feared the Persians usage of saffron as a drugging agent and aphrodisiac. During his Asian campaigns, Alexander the Great used Persian saffron in his infusions, rice, and baths as a curative for battle wounds. Alexander's troops imitated the practice from the Persians and brought saffron-bathing to Greece. Historians studying ancient Persian records date the arrival to sometime prior to 500 BC, attributing it to a Persian transplantation of saffron corms to stock new gardens and parks. 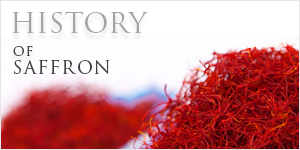 Some historians believe that saffron came to China with Mongol invaders from Persia (Iran).